 Ching L M, Cao Z, Kieda C, et al. Induction of endothelial cell apoptosis by the antivascular agent 5, 6-dimethylxanthenone-4-acetic acid. British journal of cancer, 2002, 86(12): 1937-1942. Downey C M, Aghaei M, Schwendener R A, et al. 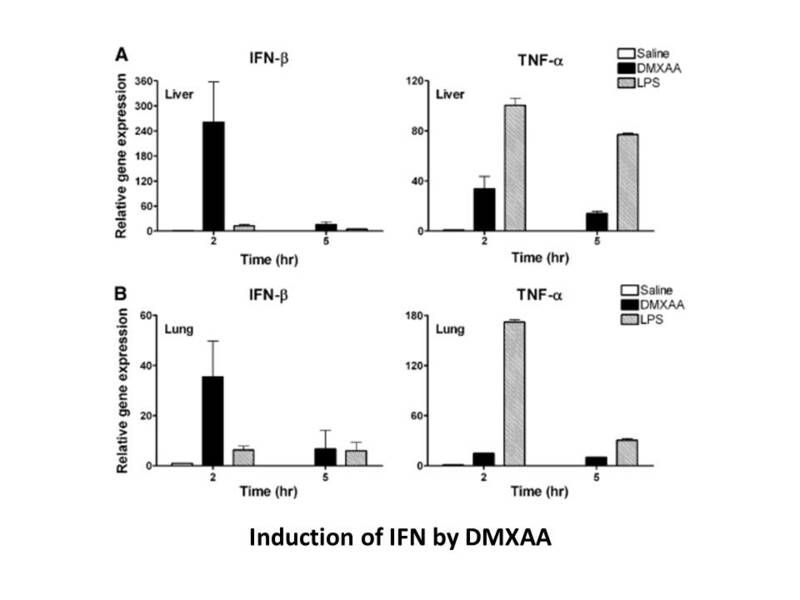 DMXAA Causes Tumor Site-Specific Vascular Disruption in Murine Non-Small Cell Lung Cancer, and like the Endogenous Non-Canonical Cyclic Dinucleotide STING Agonist, 2′ 3′-cGAMP, Induces M2 Macrophage Repolarization. 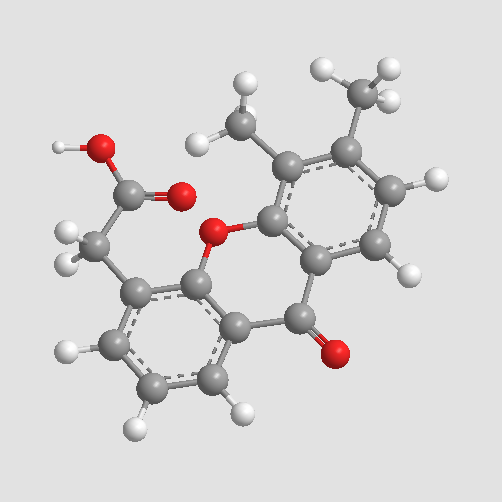 PloS one, 2014, 9(6): e99988.
. Phillips, R.M., Inhibition of DT-diaphorase (NAD(P)H:quinone oxidoreductase, EC 1.6.99.2) by 5,6-dimethylxanthenone-4-acetic acid (DMXAA) and flavone-8-acetic acid (FAA): implications for bioreductive drug development. 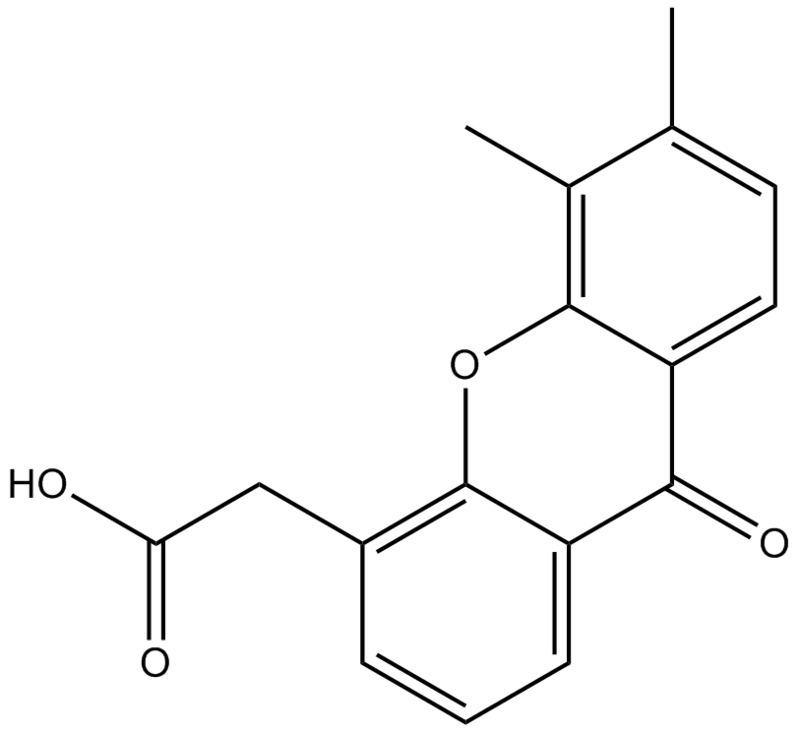 Biochem Pharmacol, 1999. 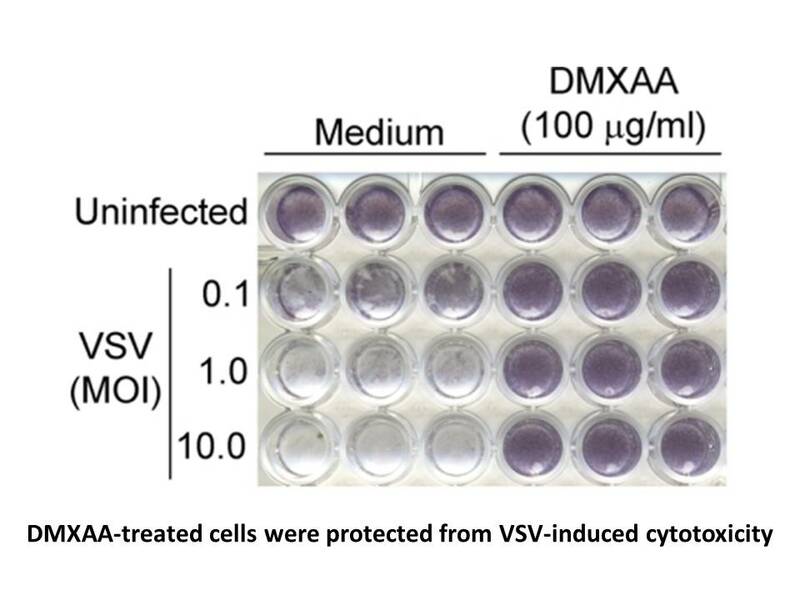 58(2): p. 303-10.
. Ching, L.M., et al., Induction of endothelial cell apoptosis by the antivascular agent 5,6-Dimethylxanthenone-4-acetic acid. Br J Cancer, 2002. 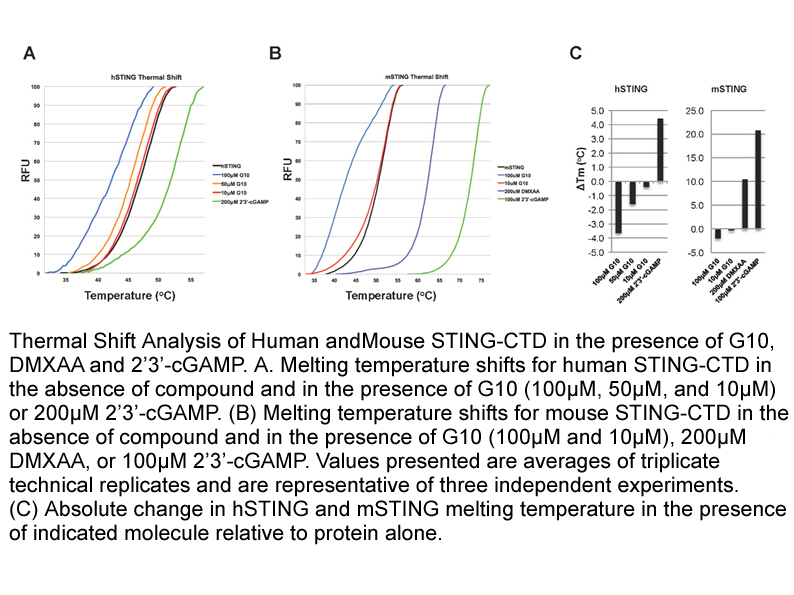 86(12): p. 1937-42.
. Pan, S.T., et al., Proteomic response to 5,6-dimethylxanthenone 4-acetic acid (DMXAA, vadimezan) in human non-small cell lung cancer A549 cells determined by the stable-isotope labeling by amino acids in cell culture (SILAC) approach. Drug Des Devel Ther, 2015. 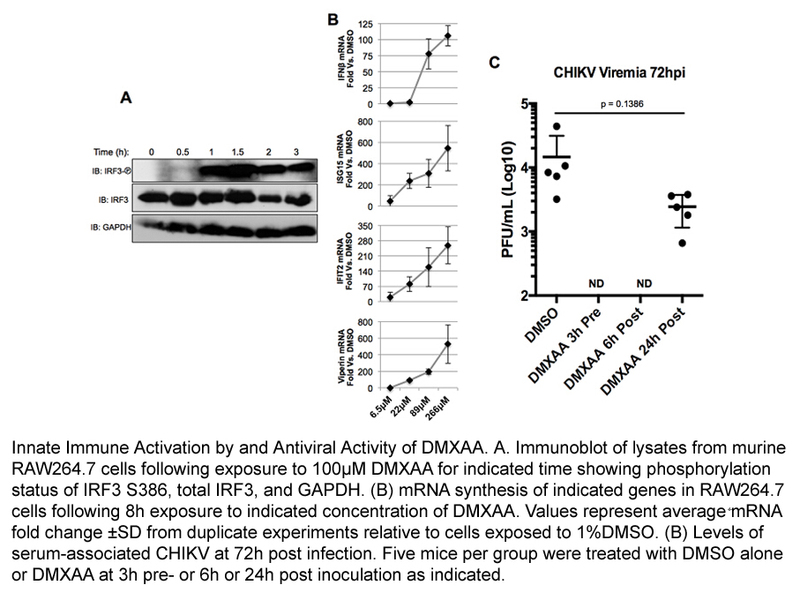 9: p. 937-68.
. Yung, R., et al., Efficacy against subcutaneous or intracranial murine GL261 gliomas in relation to the concentration of the vascular-disrupting agent, 5,6-dimethylxanthenone-4-acetic acid (DMXAA), in the brain and plasma. 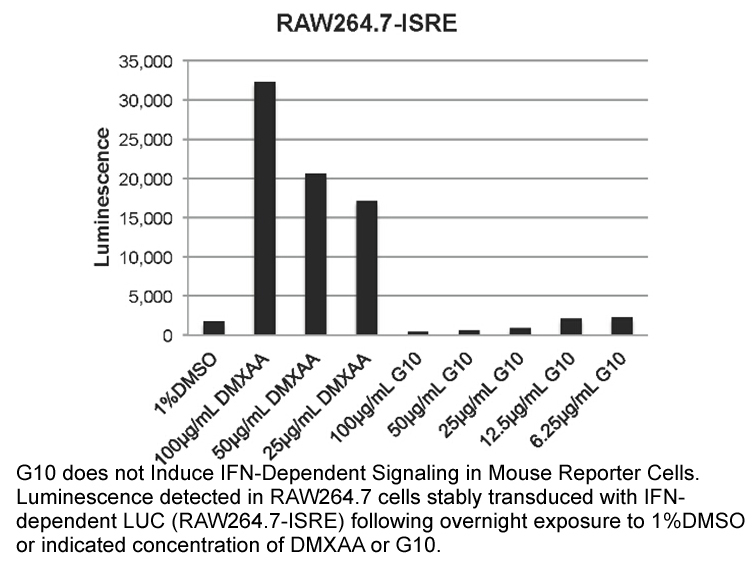 Cancer Chemother Pharmacol, 2014. 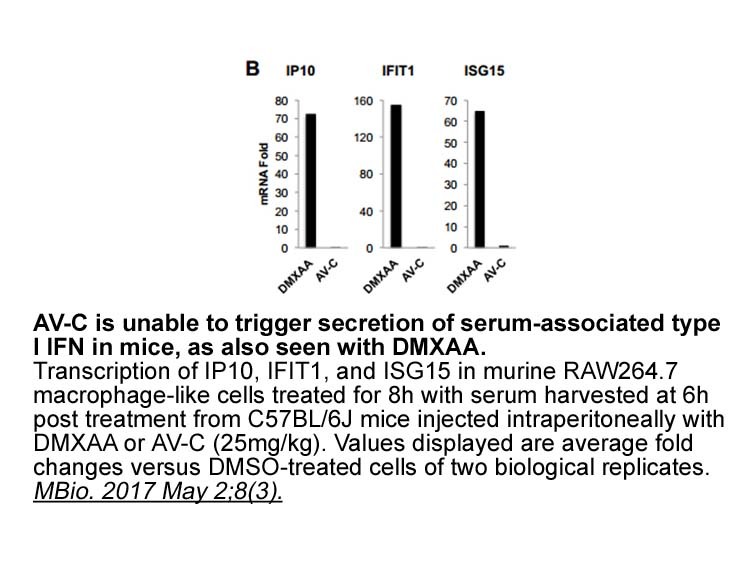 73(3): p. 639-49.
. Buchanan, C.M., et al., DMXAA (Vadimezan, ASA404) is a multi-kinase inhibitor targeting VEGFR2 in particular. Clin Sci (Lond), 2012. 122(10): p. 449-57.